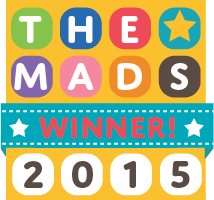 One of my favourite places to shop on the high street is Mothercare, and more specifically the Little Bird range. 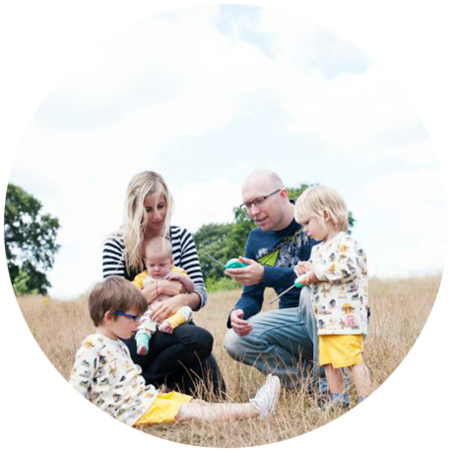 The collection from Jools Oliver embodies exactly what I want from my children's clothes - colour, comfort, practicality and fun. The seventies inspired unisex designs are perfect for active kids, everything we have had has washed well, stood out and most importantly my boys want to wear it. They have recently launched a newborn line of the range, and I bought a few pieces before Finn was born ready for him to grow into. We were sent some more last month, and they are some of my favourite things he has. 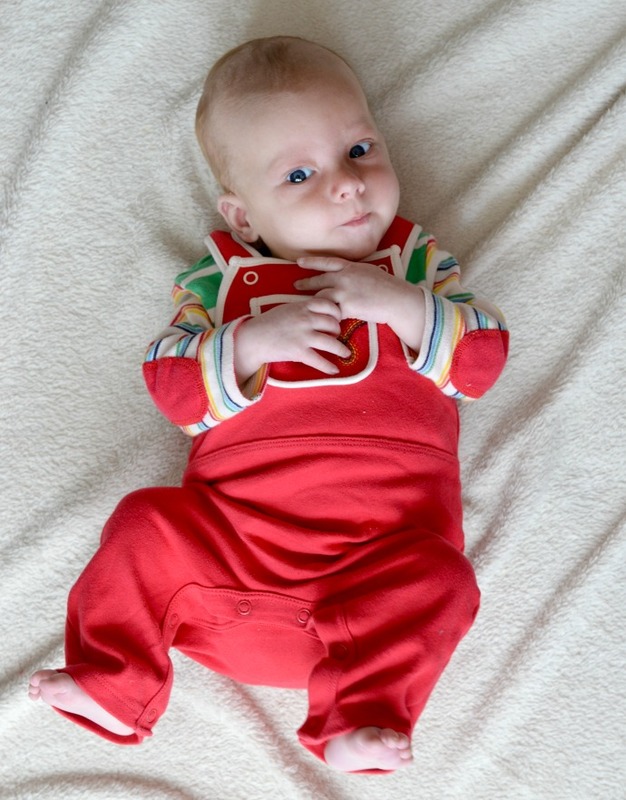 In fact, I love these dungarees so much, that he has the red in three sizes and the blue in two! 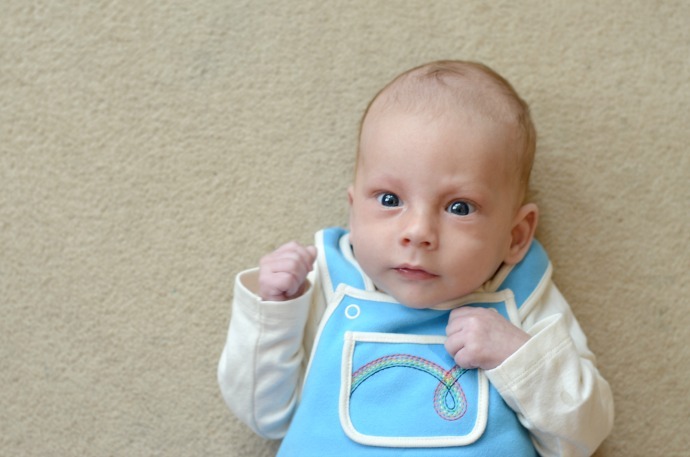 These red dungarees are very soft and under Finn's hands, there are rainbow threads the same as the blue pair below. 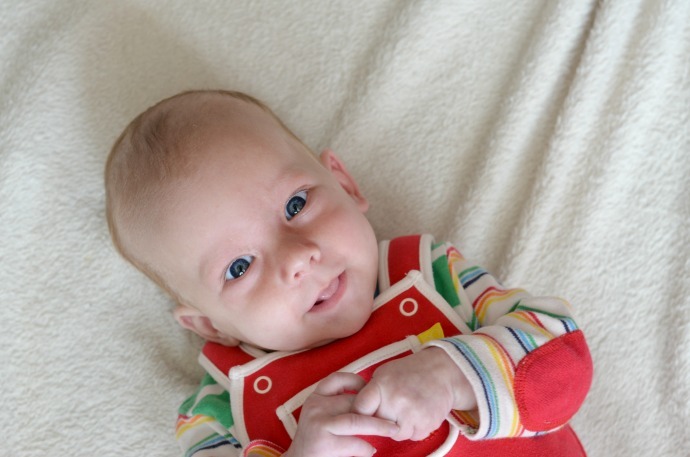 The body suit has thick green and white stripes down the body and adorable red elbow patches. It goes just as well with the blue dungarees too. Most of the items are interchangeable and this season features lots of red - one of my favourite colours. I have a few of the summer outfits ready for when the weather warms up too, with some vintage style red dungaree shorts that I am totally in love with. 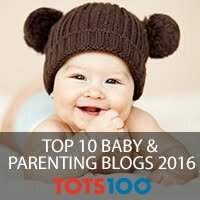 My big two boys have quite a bit of Little Bird stuff too - I find the baby range more generous in sizing than the toddlers, we have to size up for the bigger two but Finn is wearing 0-3 months in these pictures and it fits similarly to other 0-3 clothing. 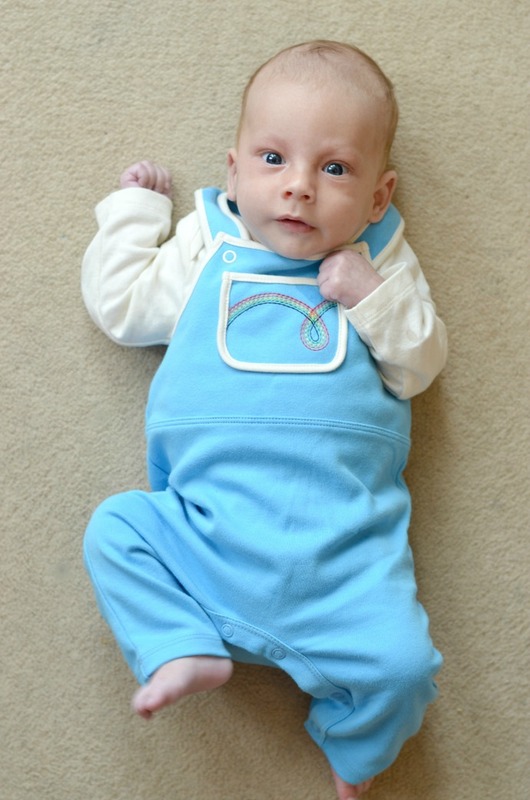 Disclaimer: We were sent a few pieces from the newborn range, but we have also bought plenty ourselves too, I love it! Aww, I love these! I might have to get some for when my baby boy is born. I've got some gorgeous mustard cords and a couple of t-shirts that I got from a Mothercare outlet that I'm waiting for Toby to grow into too - hopefully won't be long if they come up small! I love the red dungarees. So many boys' clothes are blue so it's nice to see some colour. Sadly our local Mothercare has vastly reduced its range of clothing as half of the shop is now ELC so I don't bother to go in there anymore. I love the Mothercare's stuff. He is nice in red clothes aswell. Red is not only for girls!